The editor of a Scottish bi-weekly has left his role to take over as head of media for the Conservative Party group in the European Parliament. Robert Taylor, left, has stepped down as editor of the Inverness Courier after nine years in the position. He is taking over as head of media for the Conservative group of MEPs, a role which was held until last month by former Sheffield Star editor John Furbisher. John has now returned to the UK after four years in Brussels to launch his own political PR company, Furbisher Media. Robert joined the Courier as a senior reporter in 2003 following a lengthy newspaper career in which he was or was nominated for several awards. He swiftly became assistant editor before succeeding to the editor’s chair in 2006 after the death of his predecessor, Jim Love. As a reporter on the Sheffield Star in the 1980s, Robert covered the miners’ strike for the paper and was manning the newsdesk on the day of the Hillsborough disaster in 1989. He later joined the Yorkshire Post as medical correspondent, winning specialist writer of the year at the British Regional Press awards in 1992, before becoming night news editor at the paper until 1996. 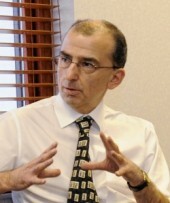 Robert then moved north of the border to become Highland news editor of the Press and Journal between 1996 and 2000, before joining the now-defunct Business AM in a similar role. David Bourn, editorial director of Courier publisher Scottish Provincial Press, will be overseeing the paper in addition to his other responsibilities across the group while a decision is made on Robert’s replacement. Robert is the latest in a growing number of weekly newspaper editors who are opting to make the switch to PR. Earlier this week, it was announced that Carmarthen Journal editor Emma Bryant was stepping down for a health PR role while others who have made similar moves in recent months include Stacey Barnfield of the Birmingham Post, Alex Cameron of the Somerset County Gazette and Ian Dipple of the Redditch Standard. I just hope he can persuade his political masters to get the EC to give grant aid to those in the UK trying to start up hyperlocals etc in the interests of regional democracy before the whole of the EC implodes on itself. Worked alongside him at the Sheffield Star. Remember him as a quiet, affable guy and determined reporter. No idea if he’s an ‘innie’ or an ‘outie’ (like me) when it comes to the EU referendum. Probably the first, sadly, as his job will depend on it.